Professional big-wave surfer Bianca Valenti says she and her peers are naturally inclined to push limits -- perfect for taking on an equal pay fight. Forty minutes before she opened a news conference to announce that the World Surf League would offer equal prize money to men and women at all levels of WSL contests in 2019 and beyond, WSL CEO Sophie Goldschmidt called a mandatory meeting of the professional surfers who compete on the Championship Tour (CT). 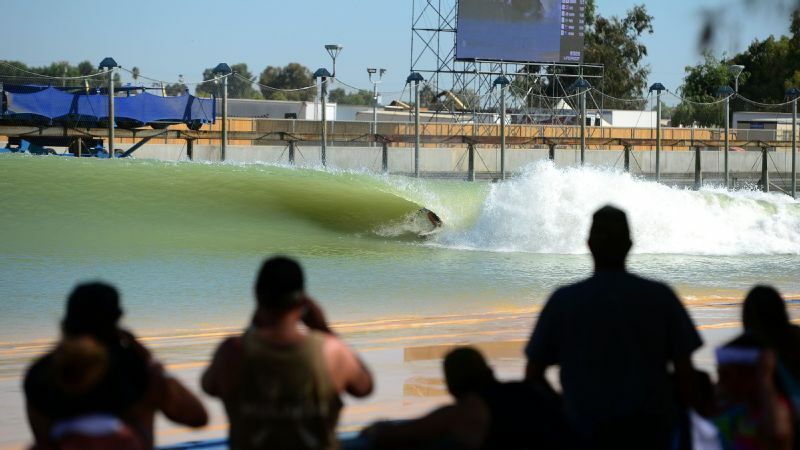 It was the Wednesday before the start of the Surf Ranch Pro in Lemoore, California, the first CT contest held in a manmade wave. Knowing there would be added media attention around the event, which the WSL already was trumpeting for its equal playing field of identical, handcrafted waves, Goldschmidt says she and her colleagues decided it was the ideal time to announce the league's plans for pay equality. "Normally when we call mandatory meetings, it's not to share this type of news," Goldschmidt said later. "The women, as you expect, were ecstatic. It was an emotional moment and one I will remember in my career. " As expected, the news spread quickly, as athletes at all levels of the sport reacted with surprise and excitement. Although women surfers have long fought for equality, their fight has never been as public or as galvanized as those taking place in sports such as tennis, hockey and soccer. But this year, that changed when a group of big-wave surfers began vocally advocating for equal pay, using the Mavericks Challenge big-wave contest in Half Moon Bay, California, as leverage. "We feel strongly that if it hadn't been for our consistent advocacy, the WSL would not have made that announcement," said Sabrina Brennan, a San Mateo County Harbor Commissioner and co-founder of the Committee for Equity in Women's Surfing (CEWS), an advocacy group that includes big-wave surfers Paige Alms, Keala Kennelly, Andrea Moller and Bianca Valenti, as well as Karen Tynan, an attorney who represents the women pro bono. "But we are so glad they did, and we're thankful because they could have done less and announced equal pay only at Mavericks. But they did the right thing and did it across all of their events." After successfully lobbying the previous owners of the Mavericks contest for the addition of a women's division, the group turned its focus to equal pay. In July, CEWS sent a letter to the California Coastal Commission asking members to approve the WSL's application for a permit to hold Mavericks only if the league met several conditions, including paying the men's and women's winners equally, scheduling equal men's and women's heats, and offering equal access to media, travel accommodations and equipment. They asked the same of the State Lands Commission, which also must approve the application. Later that month, the women met with members of the WSL, which bought the Mavericks event out of bankruptcy in August 2017, and the two sides exchanged several emails on the topic of pay equality. In August, when the land commission announced that it would approve the WSL's permit on the condition of equal prize money, the women were buoyed. But when the WSL subsequently withdrew its permit request, Kennelly says she and her fellow surfers believed that move to be the final nail in the Mavericks coffin. "I was prepared for the WSL to pull out of Mavericks completely [for 2018]. I think everybody was expecting that," she said. "So I was shocked when they announced equal pay across the board. It's going to boost the women and be so great for future generations. It legitimizes women's surfing. 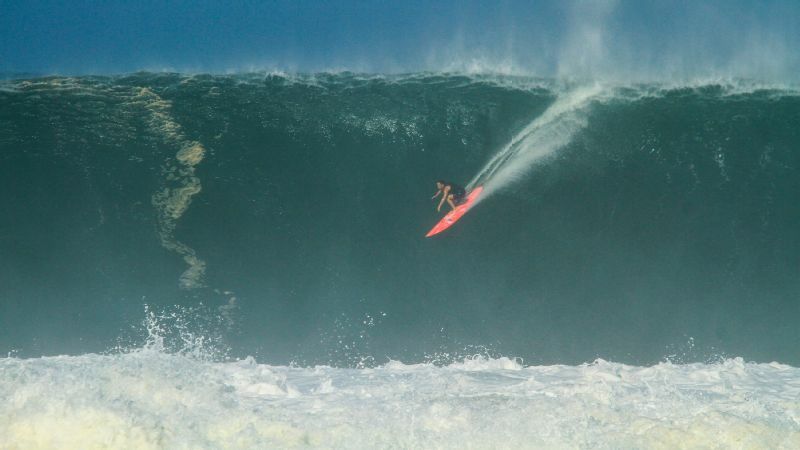 I think the big-wave women were instrumental in making that happen." 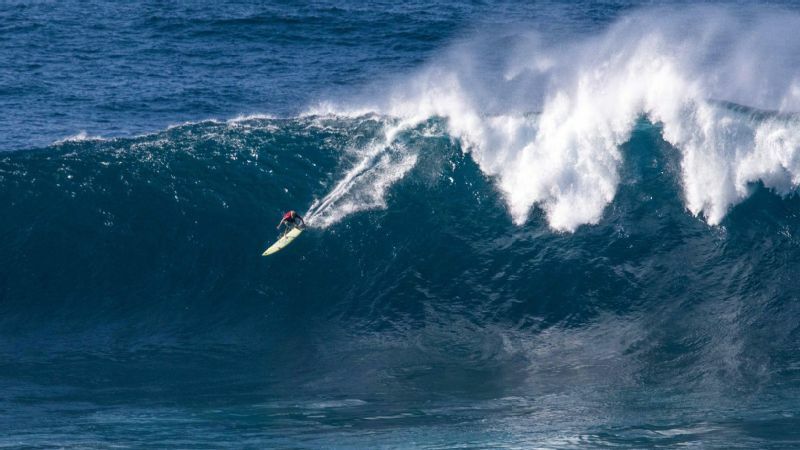 Valenti says she believes the big-wave surfers were also best suited to take on this fight -- and not only because they participate in a sport defined by a willingness to explore the outer limits of possibility. "As a group, we don't make much money. Most of the men and women on our tour work two, three, four jobs to support our surfing," she said. 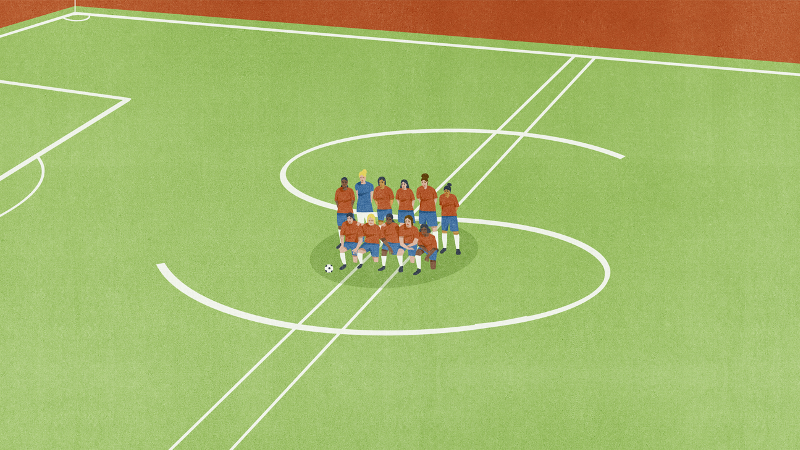 "In a sense, we had nothing to lose." Earlier this year, the WSL suffered another PR dilemma when a photo of the under-18 winners at the Ballito Pro went viral. It showed the women's winner, Zoe Steyn, holding a check for $4,000 and standing next to the men's winner, Rio Waida, who was holding an identical check made out for $8,000. The WSL issued a statement at the time explaining that the league had moved to pay parity for its Championship Tour events, which based prize purses on the number of athletes competing in an event, and saying it was working toward the same goal for its development divisions. But the cat was out of the bag. Why, the surfing community and beyond wondered, were the girls rewarded half the prize money for surfing essentially the same wave? Both Goldschmidt, the WSL's first woman CEO, and WSL women's commissioner, Jessi Miley-Dyer, a former pro who competed on the tour for six years, say the WSL's decision to announce pay equality had been in the works for months. "We knew it was coming, and we were really committed to announcing it at the Surf Ranch Pro," Miley-Dyer said. "We'd been working really hard on it, and we didn't want to show our cards. For sure, it was hard for us to be there [at the meeting] and be in that position, but it reinforces that you are doing the right thing. It's important to listen to what the world is saying. It's pretty clear over the past few years that the world is changing for women." Last year, the Association of Paddlesurf Professionals began offering equal prize money across all of its events, which includes Red Bull Heavy Water, an extreme stand-up paddle race that begins Oct. 15 and this year, includes a women's division. Added Goldschmidt, who took over as CEO in July 2017: "The [WSL] announcement was not a knee-jerk reaction to other things that were out there. This is part of a journey. The WSL has been forward-thinking since the new ownership took over five years ago. We've made a significant commitment to women, increased the number of events, increased pay and made a general investment in the marketing and promotion of the women. This was a natural next step." Keala Kennelly, a professional big-wave surfer, says equal pay legitimizes women's surfing. When Miley-Dyer was competing on the tour -- which was called the ASP until 2015 -- she says she remembers feeling like a sideshow to the men's tour, paddling out in lesser waves, at fewer contests and for less money. When she retired in 2011, she transitioned into a role as an athlete representative for the ASP and began advocating for more opportunities for women. She was tasked with rebuilding the women's tour and has since been credited with introducing new events, taking the women to higher quality waves and championing prize money increases. "If you'd told me when I was surfing that we would one day be one of the leaders in equality for women, I would have fallen over laughing," she said. "I know how far we've come. But we don't think we're done." Both women acknowledge that while equal prize money is a laudable achievement, it doesn't amount to full equality. "It was an important step celebrating what is happening in society, but it doesn't stop here," Goldschmidt said. "We also need to get audiences and participation up and fans engaged in watching women's surfing." 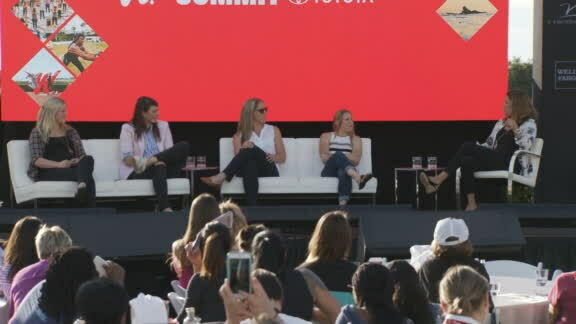 To that end, she says the WSL plans to hold women's development clinics at 2019 CT events, as well as a women's big-wave safety clinic, and will launch a women-focused marketing campaign next year. On Oct. 1, the day the Big Wave season opened, the WSL announced that two new women's categories would be added to the 2019 Big Wave Awards and named Brazilian Maya Gabeira its first Women's XXL Biggest Wave Award winner for setting a Guinness World Record for the largest wave ever surfed by a woman: 68 feet at Praia do Norte in Nazaré, Portugal, on Jan. 18. "This is an example of women in power using their influence to help other women," Kennelly said. "Women need to lift other women, and when it happens, that needs to be celebrated. Now, it's about holding them accountable."